Rémy Martin is a Fine Champagne Cognac, meaning that the eaux-de-vie selected come from the two best growth areas of the Cognac region, the Grande Champagne and the Petite Champagne (the word "Champagne" defines a type of soil that is extremely chalky). The eaux-de-vie from these crus, in the heart of the Cognac region, have the greatest aging potential and are therefore treasured more. Fine Champagne Cognac is the only blend of two crus protected by the Appellation d'Origine Contrôlée (AOC, the French law of 1938), which officially recognises the complementary qualities of Grande Champagne & Petite Champagne to provide a unique quality of cognac. In 1965, the first contracts between winegrowers and distillers from Grande Champagne & Petite Champagne were signed with Rémy Martin, forming the Alliance Fine Champagne. Only 17% of the cognac shipped from the region is legally recognized as Fine Champagne Cognac (Source: BNIC shipments 2004) and 80% of all Fine Champagne Cognac shipped from the region is produced by Rémy Martin. 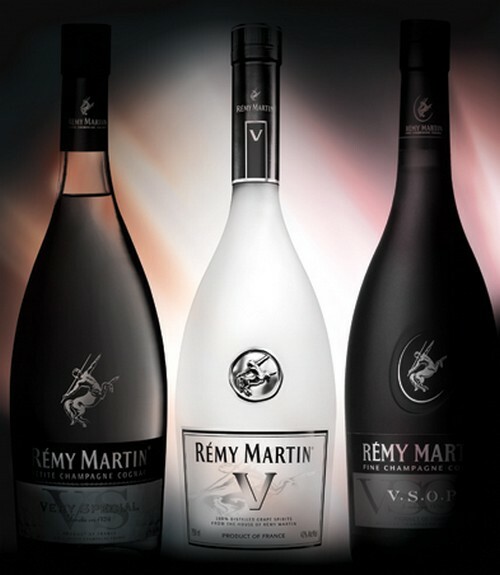 The Rémy Martin brand is known for its distinctive centaur logo which is displayed on its wines. This is such that in China, Rémy Martin wine is almost always called "man-headed horse" instead of the actual "Rémy Martin" name.